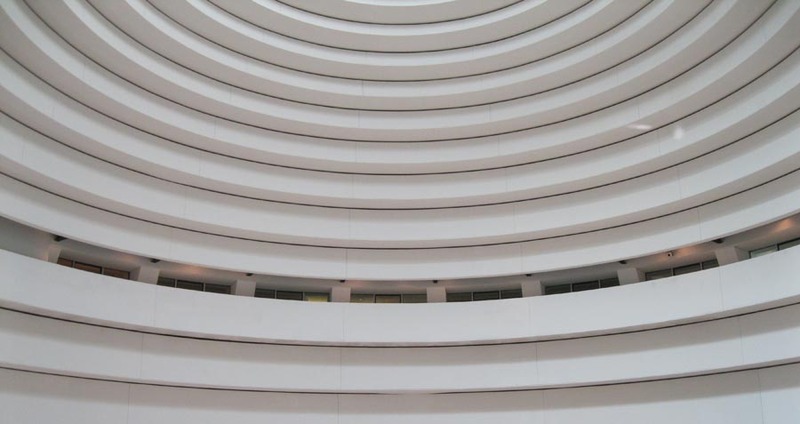 In this week’s post, I want to highlight one of the most effective museum review processes around – the American Association of Museum’s (AAM) Museum Assessment Program (MAP). If you are not affiliated with a museum, the MAP model of mentoring is an ideal for other nonprofits to support their base constituencies. The MAP process first guides an institution through an intensive period of self-study. Next, the self-study documentation is assigned to an external peer reviewer, who then visits the institution for an onsite review. Finally, the reviewer produces a report that is delivered to the institution with recommendations to help guide the museum through its short and long-term tasks for best practices. Over the past two years at the C.H. Nash Museum, we completed two separate MAP reviews – one that considered our entire institutional operation and a second that focused on our collections. As a reasonably small museum, we found this process extremely helpful. During our weekly meetings for the self-study period, all staff, including our graduate assistants met and discussed specific questions in the MAP review. The decision to engage the entire staff in the study allowed us to build a solid foundation for both the peer review and the final report. Through the self-study,I learned a great deal about aspects of our operation that are not part of my day-to-day experience at the museum. The self-study is structured such that it produces a truly holistic assessment of the museum operation. Both of our MAP final reports produced superb analyses and recommendations for our museum operation. The recommendations were organized as short, middle, and long-term goals and further ranked by cost to carry out. The final report also included resources to guide the implementation of the recommendations. Carry the prestige and authority of the AAM, our governing authority and board were very receptive to the final report recommendations. As a small institution with perhaps too many pokers in the fire, the MAP process formed a basis for us to strategically reassess our process for the coming years. I also appreciate that the MAP program does not end with the final report. Both of our AAM reviewers extended an open invitation to remain in dialogue as we work through the report recommendations. The MAP program is an excellent resource particularly for the small to mid-sized museums that need to step back and take a fresh look at their total operation in general or as a first step toward AAM accreditation. The MAP process is a very useful tool as we move into the new realities of sustainable, engaged, and socially relevant museum operations. Have you benefited from a MAP or similar type of experience? Visit the MAP weblink for more information about applying for the program. Last week I reflected on applying Nina Simon’s “Me to We” concept to institutions. Certainly, national organizations such as the American Association of Museums, regional variants like the Southeast Museum Conference, and on a statewide basis the Tennessee Association of Museums allow institutions to consider themselves from a we perspective. However, I am thinking of something more organic to a museum’s very existence. Here are some thoughts from my institution, the C.H. Nash Museum at Chucalissa. We are a small Native American focused museum located on the grounds of a Mississippian (AD 1000 – 1500) temple mound complex. We also interpret the historic African American cultural heritage of the site area. As a small 50-year old venue in an isolated part of Southwest Memphis, Tennessee, over the past several years, we have aggressively grappled with the issues of identity and mission. As an institution, in the past couple of years, we began to more intentionally move from me to we. We are one of fifteen or so prehistoric Native American venues located along the Mississippi River from St. Louis, Missouri to Natchez, Mississippi. There is no consortium to coördinate, cross-promote, or inform on these related museums. Institutionally, through organizations such as the Tennessee Association of Museums there is more structure for Chucalissa to engage with other prehistoric venues six hours away in Manchester, Tennessee, than with the Parkin Archaeological Site a 45-minute drive west into Arkansas or the Wickliffe Mounds, a three-hour drive north near Paducah, Kentucky. (Of note, even the very successful driving tours of prehistoric sites, such as in Louisiana, are limited by geo-political boundaries.) Both Parkin and Wickliffe interpret prehistoric sites of the same time period as at Chucalissa. We now find that through our informal collaboration with both Parkin and Wickliffe, we can effectively cross-promote. Our intent this fall is to begin a regional presence of the prehistoric museum venues along the Mississippi River that transcends geo-political boundaries. Such an approach is a good marketing tool to reach the regional traveler and inform local communities of opportunities of related interest in the immediate area. However, I don’t think that marketing is the real goal . . .
Parkin and Chucalissa have actively engaged each other for the past couple of years on a host of products. Parkin like Chucalissa interprets a substantial African American historic component at their predominately prehistoric Native American focused site. Each February they host a week of African American cultural heritage activities. My first thought was – that’s a great idea, we should do that too on our side of the Mississippi River at Chucalissa. Parkin also had a couple of engaging and creative school programs that we adapted for our site as well. Then we tried a different approach. Had we continued on the copying trajectory, in terms of programs, Parkin and Chucalissa could have essentially become clones of each other. Instead, and very intentionally, at Chucalissa we developed our strengths, but cross-promote those strengths with other institutions. In this way, we move from ” two me’s” to a true “me to we” setting. The above process has two benefits. First, for the individual or group visitor there is a reason to visit both Parkin and Chucalissa. They will not get the same programming at both sites. But more importantly, the process allows the two museums to focus on and share their separate missions and strengths as distinct institutions. I am excited to begin work this fall on a regional presence that crosses into a half-dozen states along the Mississippi River. Such approaches seem to defy conventional practice. However organizations from the regional Great River Road to the local Chicago Cultural Alliance are grappling with this process. How are you moving from me to we with relevant institutions? With shrinking support dollars, advocacy is more than ever a pressing and essential survival skill for public institutions. 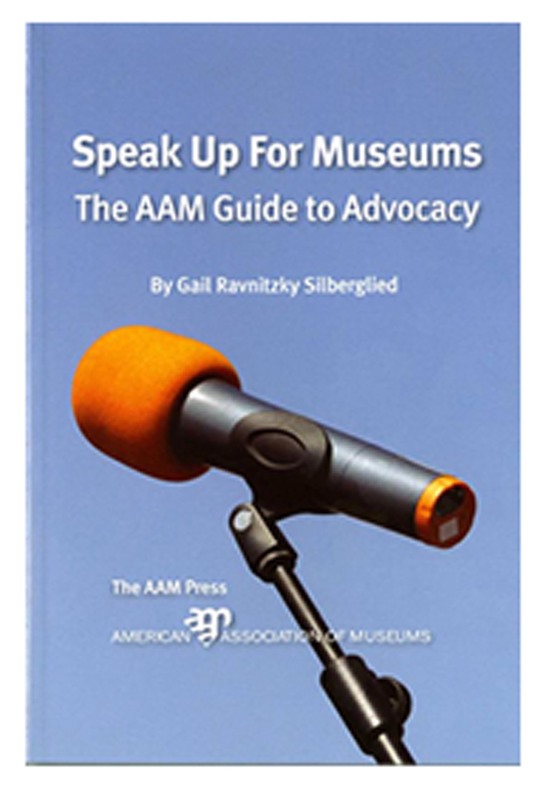 The American Association of Museums‘ (AAM) 2011 book Speak Up For Museums: The AAM Guide to Advocacy by Gail Ravnitzky Siberglied is an excellent starting point for the discussion. As AAM President Ford Bell notes in the volume’s Preface “We advocate for the value of our museums every time we open an exhibit, welcome a school group, send out a press release, meet with funders or hold a special event in the community. Advocacy can be as simple and personal as chatting with a visitor” (p. xi). Advocacy work with elected officials and policy makers is the focus of the volume. Like many AAM publications, the scope of Speak Up For Museums is basic but comprehensive. The volume covers the limitations in advocacy work for nonprofits, involvement of museum boards, advice from public officials and museum advocates, and a basic civics lesson on government structures and operations related to advocacy. Two chapters stood out as particularly helpful to me. First, Chapter 3, An Advocacy Inventory, contains step-by-step templates/guides for compiling institutional data (e.g., visitation demographics, elected and other public officials, and economic data) critical for successful advocacy. Chapter 6, Start Advocating Today! A Week-by-Week Plan provides a list of 57 advocacy tasks. The examples range from simple to complex and include adding all relevant elected (city, state, county, federal) officials to your mailing list and social media sites (and vice versa), updating a museum’s virtual presence on websites, Wikipedia and social media pages, and joining with other area museums in advocacy efforts. The AAM hosts a Speak Up For Museum webpage with many links and information on advocacy work. Museums continue to move from being collections driven to centering on the visitor experience in the same way that archaeology now includes a public accountability component unheard of 50 years ago. In this regard, all practitioners take on advocacy roles. Advocacy is now embraced by the field archaeologist, the curator, and the research scientist, not just the administrators, educators and marketing departments. Particularly with the advent of social media institutions no longer have the luxury of controlling the means and pace of their advocacy efforts. Speak Up For Museums focuses on advocacy with public officials. Although not explicitly stated, the public realm of advocacy also requires a full team effort. Despite centralized press releases and lobbying efforts, all staff need to create their 3-minute elevator speech advocating for the institution. I have a new appreciation that advocacy is a long-term process that starts with building a relationship today. I often smile smugly at the Facebook entries from the institution that only posts for self-promotion or Kickstarter/Pepsi Challenge type fundraising efforts. I suspect the public official feels the same way if they only hear from me when I need something but am not engaged as part of the broader solution. Advocacy is not rocket science. Advocacy can be as simple as putting one foot in front of the other and doing the next right thing. Adding the email addresses of all relevant public officials to an e-newsletter list is pretty straightforward and can probably be achieved with a half-hour of Google search time. 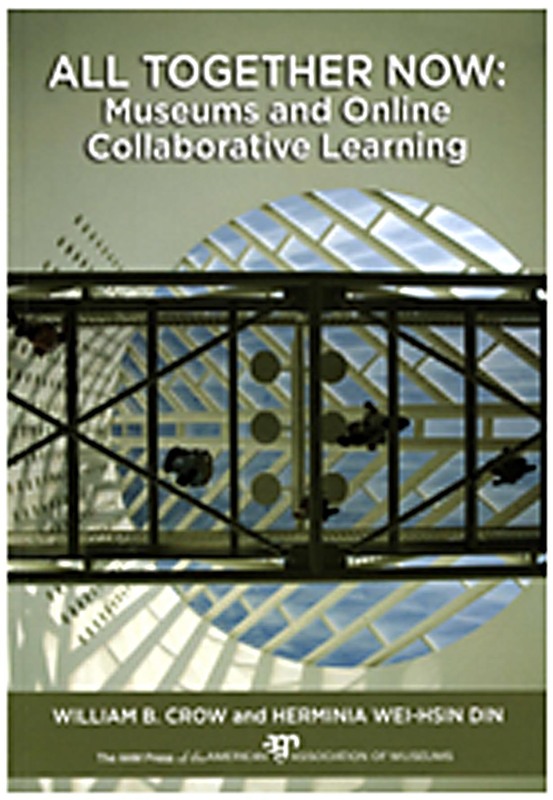 In fact, Chapter 3 “An Advocacy Inventory” suggests that the template/guide tasks “can also be done as a case study for a graduate class in museum studies” (p. 16). Hmm . . . sounds like Project 1 for my Museum Practices graduate seminar in the Museum Studies Certificate Program at the University of Memphis this fall semester – pick an area museum and develop an advocacy guide for them. Speak Up For Museums is a great resource to start or further develop an institution’s advocacy work. Although geared specifically toward museums, the application is adaptable to a range of nonprofit agencies. What are your tools for advocacy? Along with a reported 5000 other individuals, this week I am attending the Annual Meeting of the American Association of Museums in Houston Texas. The impact of social media in Outreach efforts is evident by the number of sessions devoted to the topic. If the first session I attended on Sunday is any indication, then the Annual Meeting will prove well worth the 10-hour drive from the flooded Mississippi Delta at Memphis to the furnace of hot winds blowing in southeast Texas. The session was We have 10,000 followers . . . Now What? Evaluating Social Media’s Impact. I suspect this title resonates with many folks in Museum and other nonprofit institutions. For many, the aggressive Facebook or Twitter campaigns were launched, likes and followers signed on, and then came the “so what do we do now?” Web tutorials on building social media platforms abound but there is considerably less discussion on the hows and whys of sustaining the presence. The AAM session provided some great insights in filling this void. The presenters were Elizabeth Bolander from the Cleveland Museum of Art, Sarah Elizabeth Banks from the National Museum of Natural Hisotry (NMNH) at the Smithonian, Jay Geneske from Echo Green, and Ryan French from the Walker Art Center. The discussion opened by challenging institutions to define their goals in using social media. Too often museums only conceptualize social media as a seemingly cheap form of marketing to drive visitation to a museum or event. Sarah Elizabeth Banks provided an alternative approach from the Smithsonian. Social media at the NMNH is also viewed as a tool for engaging the public directly in research and then disseminating the research results. For example, when NMNH scientists in Africa needed immediate assistance to identify fish species. 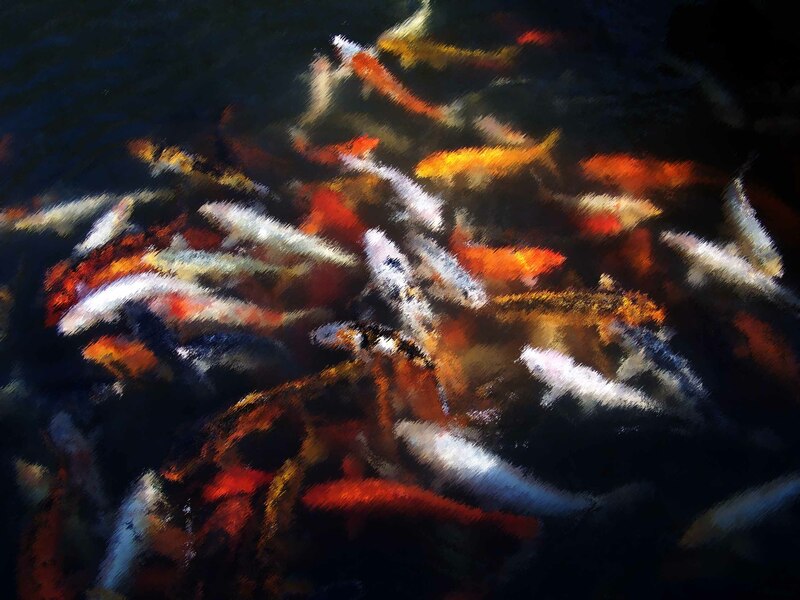 They announced the project on Facebook, uploaded the images of the fish to Flickr, and via email sent out a call for participation. As well, the Smithsonian blog reported the project that was also featured on the Smithsonian website. Ultimately the fish identification was a “Facebook Story of the Week for the NMNH. With support from the virtual community the NMNH scientists completed the identifications in record time. Instead of viewing social media as a marketing tool to drive visitation, the fish identification project demonstrated how a research project can be assisted through social media. The session speakers all agreed that social media must flow from the museum’s mission. As such, institutions need to incorporate social media into the forefront of activities and not as an afterthought. The Walker Art Center uses YouTube videos to take visitors behind the scenes in exhibit construction. The speakers also pointed to the power of memory when posting photographs to Flickr of past events and visitors. Both the Walker Art Center and the Smithsonian actively invite the public to upload their photographs to these projects. Speakers noted the tremendous resource drain social media can have on a staff. For example, the Walker Art Center runs 10 separate Facebook pages, blogs, YouTube channels, Twitter feeds and more. Out of the 150 attending this AAM session only one individual’s job responsibilities were full-time in social media. Most attendees performed social media tasks as an added assignment. The speakers expressed considerable variation in how their institutions controlled social media output. However, the need for radical trust was a theme in all the presentations. At the C.H. Nash Museum at Chucalissa, over the past couple of years, we have thrown a lot of virtual spaghetti at the social media wall. A good bit has stuck. We, like many or most other institutions now must sit back and soberly assess the impact, and strategically plan our next steps. My ultimate takeaway from the session is that social media is moving to the forefront of all that we do in Museums and Outreach. We need to be fully engaged, intentional, and mission driven with this tool as we move forward. How are you evaluating your social media experiences as you plan for the future? Why a Museum Advocacy Day? For this week’s post, below is the op-ed I wrote for the March 1, 2011 edition of the Memphis Commercial Appeal. 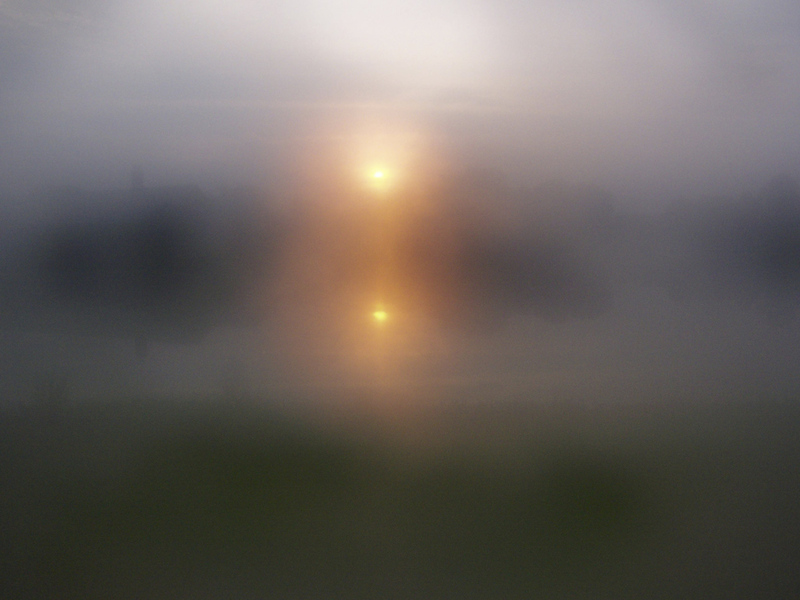 The piece is based on the American Association of Museum’s Advocacy Day activities for 2011. Museum Advocacy Day notes the essential contributions these institutions provide to education and our economy. For Memphians, museums can be a source of learning, fun and inspiration. This is true regardless of the size of the institution, from the Pink Palace Family of Museums to the Fire Museum of Memphis. This is also true regardless of the institution’s focus, from art museums to children’s museums to those with a specialized emphasis, such as ornamental metals or guitars. According to the American Association of Museums, U.S. museums attract an estimated 850 million visits each year, more than all professional sporting events and theme parks combined. Museums are also an essential part of our educational system. 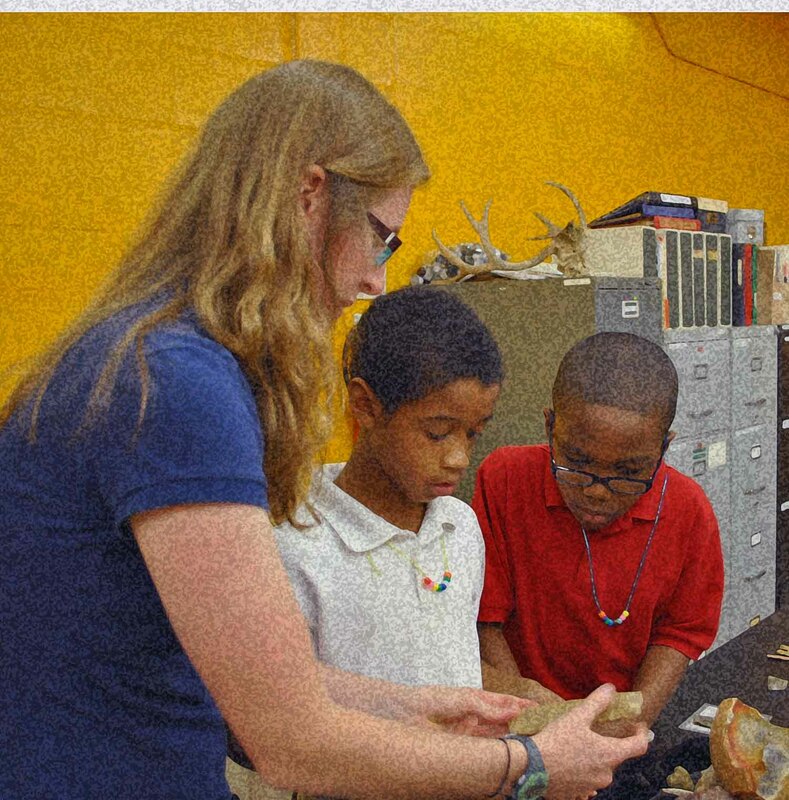 Tens of thousands of area students of all ages learn about the fine arts, Native American cultures and science through Memphis’ cultural institutions. Students in the University of Memphis Museum Studies graduate program are trained through internships at many of Memphis’ museums. According to the federal Institute of Museum and Library Services, museums annually provide more than 18 million instructional hours to American students and educators, ranging from professional development for teachers to the traditional school field trip. All told, museums annually invest more than $2 billion in educational programming. An estimated 55 million schoolchildren take part in museum field trips each year, despite cuts in school budgets. Our local institutions are among those that have responded to the challenge of these tough economic times. The C.H. Nash Museum at Chucalissa launched Family Day and in-school programs to help offset the impact of a reduction in the number of school field trips. Museums also take advantage of the Internet to make their offerings more accessible to all. For example, the National Civil Rights Museum provides many of its educational resources for teachers and students online. Museums have adapted their educational programs to conform to the mandates of the No Child Left Behind Act, incorporating standards in math and reading, while also adapting educational offerings to state and local benchmarks in science, art, language arts, civics and government, economics and financial literacy. For example, all programming offered at the C.H. Nash Museum at Chucalissa is tied to the curriculum standards of schools in the tristate area. For many students, museums provide the switch that makes the light bulb go on. Last summer when African-American students from Southwest Memphis toured the Davies Manor Plantation in Bartlett, several commented about the powerful experience of being in a home to which their ancestors would have been denied access. At a recent University of Memphis Art Museum exhibit on the work of architect Paul R. Williams, adjoining galleries featured work from university graduate students in architecture and models created by students from Coro Lake Elementary. Such hands-on learning provided by museums makes it easier for many young people to grasp concepts that seem irrelevant and obscure on the pages of a textbook. Clearly, museums are engaged in critical work that contributes to the educational excellence of our communities. But as substantial as is the impact of museums on American education, their contribution goes much further. Museums are vital to our economy as well. According to the U.S. Department of Commerce, America’s estimated 17,500 museums employ more than a half-million people and through direct expenditures alone inject some $20 billion into the American economy. This vitality is clearly visible in Memphis. From Graceland to the National Civil Rights Museum, Memphis is viewed as a destination travel and tourism location because of its world-class museum venues. The Memphis Convention and Visitors Bureau reports that in 2010 nearly 3 million tourists visited 60 area attractions, including museums. The mission of museums is public service. That’s the message that will be carried to Congress today, on Museum Advocacy Day, when representatives of museums from across the country will come to Capitol Hill to convey to our elected officials the value museums bring to our nation. As protectors, interpreters and exhibitors of our heritages — historic, cultural, natural and scientific — museums fulfill a crucial role in America. Join the museum advocacy effort by contacting our local officials to tell them what Memphis-area museums mean to you and your family. Robert P. Connolly is director of the C.H. Nash Museum at Chucalissa and an associate professor of anthropology at the University of Memphis.